Are you consuming any collagen at the moment? If yes, do you know or check what type of collagen that you are consuming? I know there are many types of collagen in the market and they come in different forms; it could be in powder, drink, tablet, capsule or jelly. Today we are going to share about Joymix Collagen Tripeptide vs Normal Collagen. Collagen Tripeptide (CTP) is a unit of a three amino acids, namely glycine, proline and hydroxyproline, which are found naturally in food. Why do we need to consume collagen? Well collagen is the most abundant protein in our bodies, found in bones, muscles and tendons as well as skin, hair and nails. It is part of the connective tissue in the skin that creates firmness and suppleness and is vital for skin elasticity, as well as driving skin cell renewal. As we age our collagen production slows down that is the reason we need consume collagen to replace it. So what makes Joymix Collagen Tripeptide unique as compared to conventional collagen? 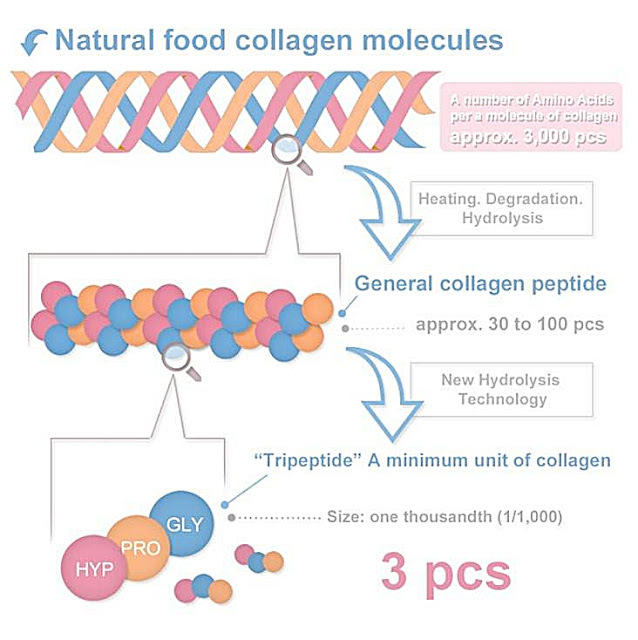 As you can see there are differences of Collagen Tripeptide verses Normal Collagen (Collagen Peptide) and Collagen from natural food. Joymix Collagen Tripeptide is already breakdown into 3 minimum unit of collagen that can directly and quickly absorb by our intestinal tract and deposited in our skin, bones, cartilages and tendons. However the absorption rate of Normal Collagen or Conventional Collage is lower and slower because it has a bigger molecule and need to go through the breakdown process again. Joymix Collagen Tripeptide is enhanced with Methylsulfonylmethane (MSM), Olive Extract and Vitamin E. When MSM is combines with Collagen Tripeptide it helps to bind the collagen units together to improve the skin's firmness and reduce joint inflammation. Don’t worry, MSM is not an artificial ingredient, it occurs naturally in fruits, vegetables and animal products. For the past few weeks I have been consuming 1 scoop of Joymix Collagen Tripeptide with 150ml water daily in the morning before my breakfast. It taste like passion fruit drink and only has a very mild sweetness. There is no fishy smell or odor, it is pleasant to drink. For my Muslim friends and readers, Joymix Collagen Tripeptide is Halal certified. There are many benefits of consuming Collagen Tripeptide for our beauty and overall well-being such as hydrates and brighten the skin; gives the radiance to the skin; reduce fine lines and wrinkles; strengthen hair and nails; and strengthen the bones and joint health. Plus it is also a remedy for cracked heels. I know that as we aged the collagen in our bones and cartilages are deteriorating therefore I need to exercise more often and consistent to strengthen my bones. Collagen makes up about 90% of our bone mass. Besides exercising consuming Collagen Tripeptide can also help to further enhanced our bones metabolism and helps reduce joint pain (if any) as the digested collagen is directly deposited on collagen containing organs stimulating growth of new collagen fibres. 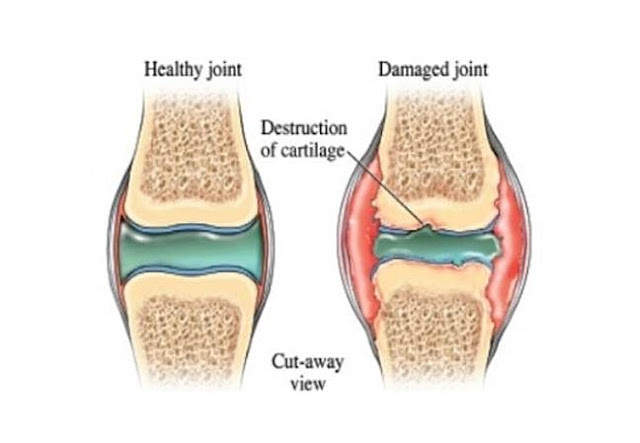 MSM also help to build back worn joint cartilage. After I consumed Joymix Collagen Tripeptide I find that I am becoming more flexible and able to do squad without feeling the tightness around the knee areas. The fastest results are shown in the skin, where I can feel that my skin is more hydrated and glowing. There uneven and yellowish skin tone is reduced and dry lines became less visible. Overall I find that Joymix Collagen Tripeptide is easy to consume and it has higher efficacy compared to Normal Collagen or collagen from natural food. I can also see the improvements on my skin, its more moist, radiant and firm. My hair and nails also becoming stronger and not so easy to break. In long term collagen tripeptide helps to strengthen our bones and also cartilages. If you want to look good and be strong you got to invest in the product that works.